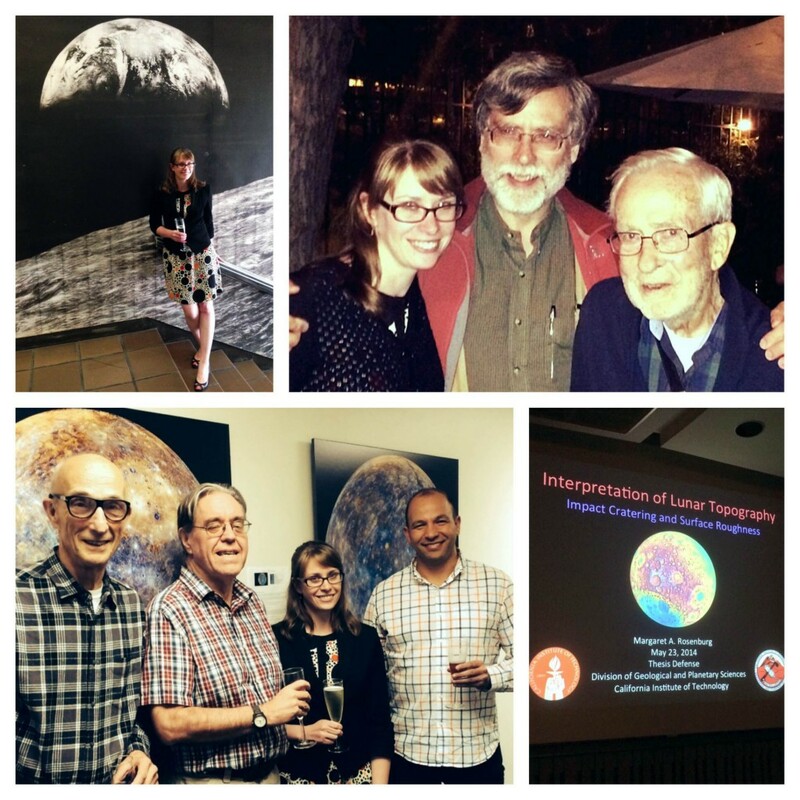 Last Friday, I successfully defended my planetary science thesis in front of my thesis committee, friends, and family – I am a doctor at last! I say “at last” because it’s been quite a long time coming, really. I arrived in Pasadena in August of 2007, having just graduated the previous June. If I were to do it all over again, I would probably take some time off before starting grad school (and I would recommend it in general), but in retrospect, I’m glad that I didn’t. I can’t regret the unexpected things that have come up over the past several years (to name a few: theater projects, movie producing, science communication opportunities, history of science research) that almost certainly would not have fallen out the same way if I’d changed my path, or even just delayed it by a year. Looking ahead, I’m excited to remain at Caltech to write up for publication my research into the history of impact crater studies. While I had originally intended to include this work as an addition my planetary science dissertation (since Caltech as an institution cannot grant any degrees in the humanities), after much careful thought, I have decided that this path forward will be more fruitful. I am therefore at an interesting point in my trajectory (whatever it is). I’m immensely proud of the work I’ve done in planetary science on cratered terrains and lunar surface roughness, and I look forward to publishing the bits that haven’t been published already in the coming months. At the same time, I am so looking forward to concentrating on the history side of my research. There’s plenty of work to do, but I’m ready for it – I have an exciting summer ahead of me!